An inclusive education finds a place for all and does not select in an elitist way the beneficiaries of its efforts. An education in the fullness of humanity should be the defining feature of Catholic schools. Whoever receives one child such as this in my name receives me. The Rosary is the most beautiful and the most rich in graces of all prayers; it is the prayer that touches most the Heart of the Mother of God. The Rosary is my favorite prayer. A marvelous prayer! 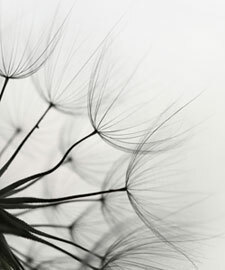 Marvelous in its simplicity and its depth. In the prayer we repeat many times the words that the Virgin Mary heard from the Archangel, and from her kinswoman Elizabeth. Education is the most powerful weapon which we can use to change the world. No child should be denied his or her right to an education in Faith, which in turn nurtures the soul of a nation. When someone is truly included, no one will question their presence — only their absence. Children who learn together, learn to live together. 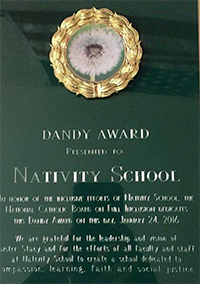 Every six months, the DANDY AWARD is presented. It highlights people who have been inclusive just because it is the right thing to do. The National Catholic Board on Full Inclusion is a non-profit public benefit corporation with 501(c)(3) status. All donations are tax deductible • Tax ID #47-2200036.